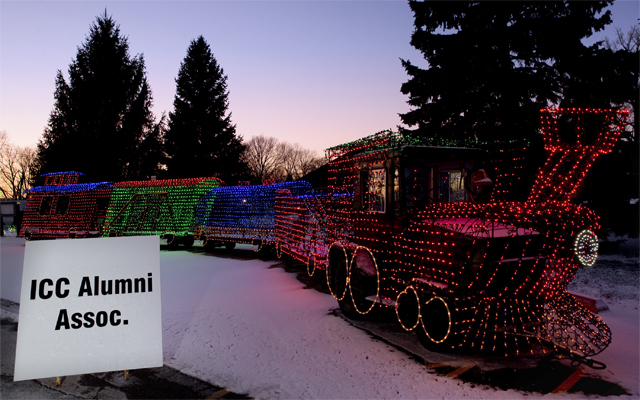 The ICC Alumni Association is proud to support the East Peoria Festival of Lights this holiday season! Take a trip through the Folepi Winter Wonderland to see the train float sponsored by the Alumni Association. Hours are: weekdays from 5-9 pm and 5-11 pm on Fridays and Saturdays through Sat., December 31. Consider giving the gift of the ICC Alumni Association this holiday season! Lifetime memberships are just $30 for each alumni or $50 for a pair.